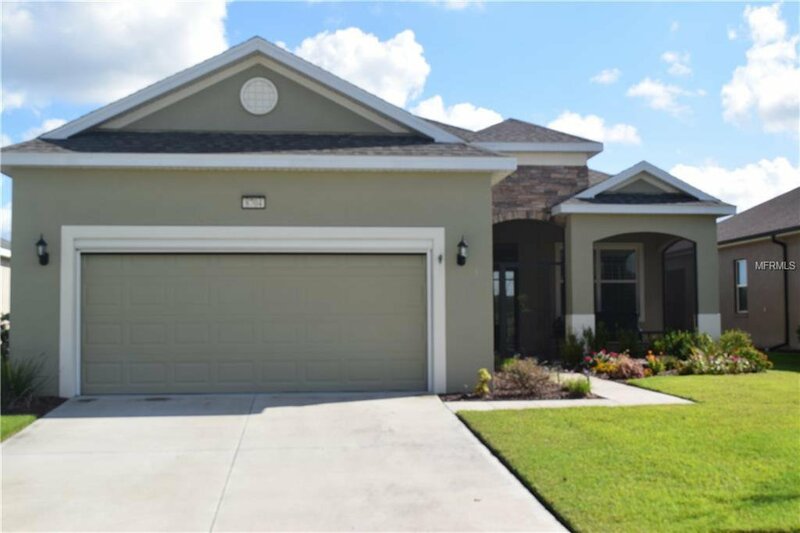 Enjoy Florida water front living in this move-in ready home located in the top rated retirement community of Lakes of Mount Dora. This popular Harbor model features a very spacious front screened lanai and an enlarged rear screened lanai overlooking the lake....with a summer kitchen to enjoy many meals with your new friends. From the moment you open the beautiful entry door, you will see the pride of ownership....wood look tile is throughout the home except for carpeted bedrooms....ceiling fans...nice washer and dryer included....walk in shower in the master bath...many more custom touches. Chandelier in dining area does not stay. Eagle in living area does not stay. Schedule your private tour today...you won't be disappointed.